If you're looking for a base for your next robot, look no further than the Rover 5. 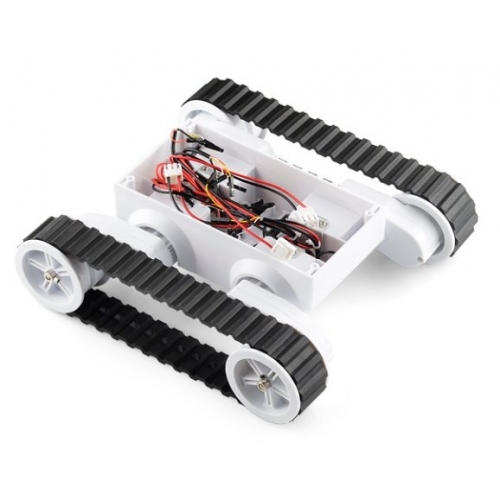 The Rover 5 uses 4 independent motors, each with a hall-effect quadrature encoder and gearbox. 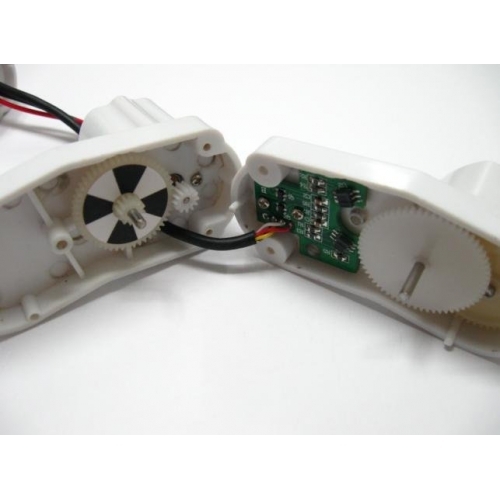 The entire gearbox assembly can be rotated at 5 degree increments for different clearance configurations. 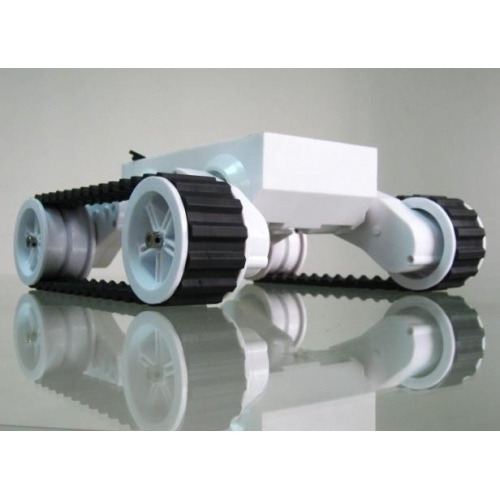 You can even replace the tank treads with traditional wheels. 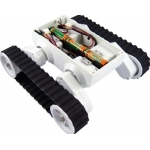 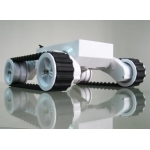 This robot chassis has four powerful DC motors, each of which has a digital quadrature encoder output suitable for feeding into a microcontroller to allow you to accurately control the speed of each motor. 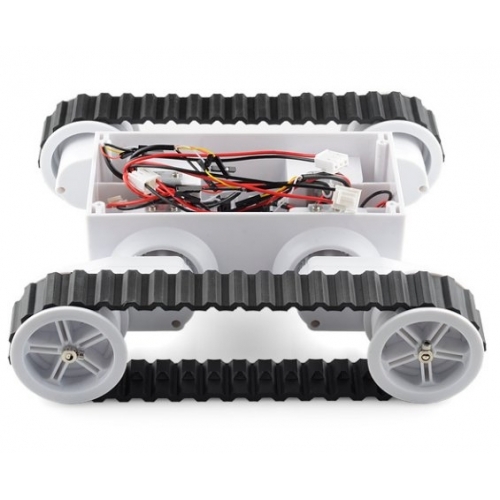 Each motor has a Red and Black lead for motor power.